The 2019 season will be a massive year for Mason Thompson as he looks to have his health in check finally. 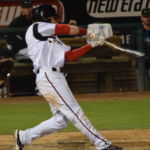 He is throwing well this season and seems poised to breakout for the Lake Elsinore Storm. It has certainly been a long and winding road for Mason Thompson. He was drafted out of high school in 2016 with a third round selection. 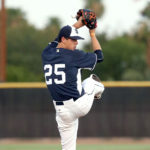 The 6-foot-7 pitcher missed his entire senior season after undergoing Tommy John surgery. Before he went under the knife, Thompson was regarded as a possible first-round pick. He has that kind of upside with his stuff. 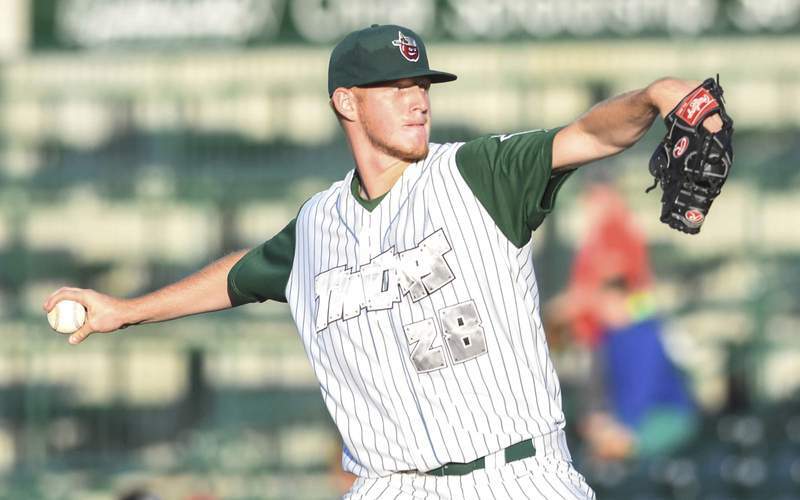 The right-handed hurler spent the last two season in Fort Wayne pitching for the TinCaps. It was a challenge for the pitcher as he did not have the success he envisioned for himself. “The best way to describe it is that it was a learning experience. The numbers weren’t what I wanted to put up. Or what I expected of myself. What I took away from Fort Wayne will benefit me more than anything in the long run. If I went out there and dominated or didn’t have the setbacks I had, I would not have learned as much.” Thompson told EVT. He recognizes that the game is hard and more often than not things don’t go your way. 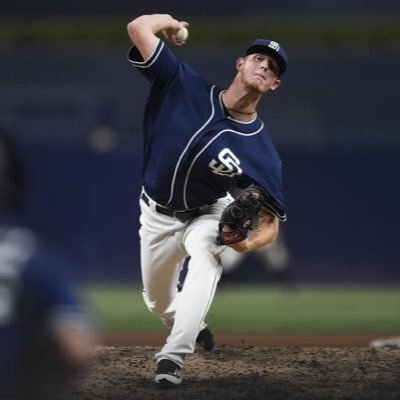 The pitcher has the proper mindset to learn from his experiences in the Midwest League. This mental approach leads most to believe he is on the verdge of breaking out. 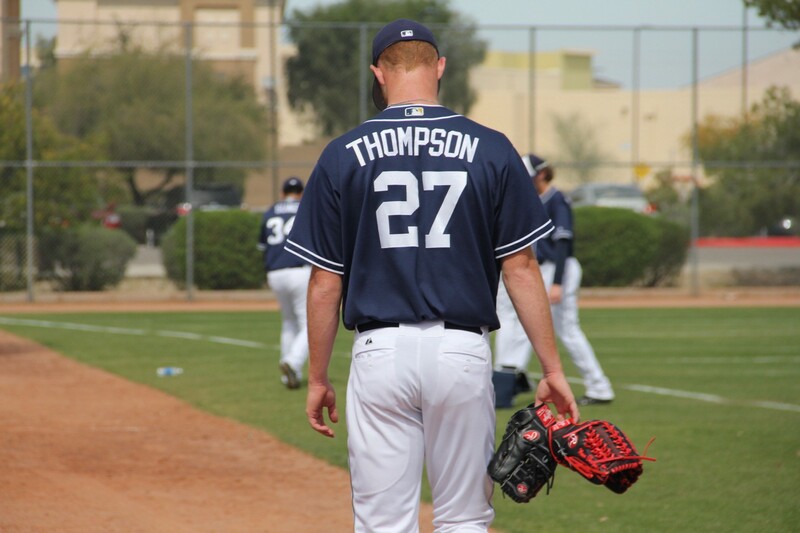 “Last year was about finding myself and trying to have a full, healthy season,” Thompson said. For the most part, he was healthy in 2018 and that allowed him to get over that mental hurdle. 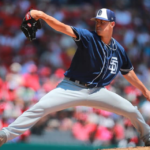 The fact he is healthy and can focus on other aspects of his game will be key to the pitcher moving forward through the system without hiccups. Thompson has put on muscle this winter and has more strength than season’s past. He hopes that the added weight will keep him out there every start. “The emphasis over the last season and a half has been health. Just getting bigger and stronger. I needed to do the things to be out there every start. The key for us was to get in there and make sure everything was where it needed to be,” Thompson said. Now that his physical issues are behind him, the pitcher is attempting to gain a mental edge. Quite often young pitchers can get rattled out on the mound. Things don’t go your way, and it seems like an uphill battle from time to time. “It started to snowball on me before. 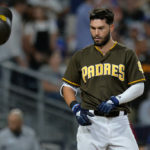 I was out there pitching and focusing on mechanics and different things instead of focusing on getting the hitter out,” Thompson said. To be able to focus on the task at hand is not easy and it takes some players a long time to adjust and channel out the noise. The fact he recognizes some issues he may have in that regard will only help this young pitcher. “The failures gave me the mentality that I have now,” Thompson admits. He has grown and the results are coming. The large pitcher from Texas is starting to turn the corner with his development. He craves more knowledge about himself and his mechanics. “My number one goal (this offseason) was to figure out my mechanics. If I yank a fastball down and away on a righty, I need to know why I did that. What causes that in my mechanics. I figured out a few ques in my back leg and in my front arm. I am now trying to sit into my back leg and not get too far in front. Trying to stay on that back foot as long as I can,” Thompson said. In gaining this knowledge, he stayed close to home in Texas. “I worked with a guy named Scott Lacey out of the Austin area. He is part of the true grind systems group. Which is the group I trained with this offseason. I sat down with him. I pulled up video of some of the best outings I had in professional baseball. I said to myself- This is where I want to be. This is where I know I can be. This is where I believe I should be. We sat down and looked at it and could point out some issues that needed to be resolved,” Thompson said. You have to admire his quest to get better. 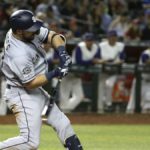 The game of baseball is about adjusting and Thompson is doing that. The RapsodoMachine revolution is hitting hard all around baseball. We spoke about the system and what he gained from it. “I used the Rapsodo more once I refined my mechanics. I did not use it too much early on. We had the information so that we knew where we had gone since day one. Early on, it was mechanics. It was trial and error. I knew I wasn’t going to go out there on day one and spot up 97 on the black,” Thompson said with a smile. He recognizes he has work to do on all his pitches. “We worked on spin axis on my offspeed pitches,” Thompson admits. The progression he made with the system has been substantial. We will see the results this year. Luis Campusano is wise beyond his years. Several pitchers have mentioned that he does the little things behind the dish. “He definitely does a great job back there. You could see the maturity develop last year. He started to develop confidence as the year went on. 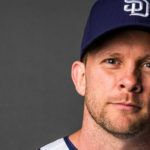 He is a leader and does a great job behind the plate managing the game,” Thompson said praisingly. Confidence is not lacking in this young pitcher currently. He is starting to feel his mechanics. “I just need to keep competing and keep getting after it. No matter who steps in that box, you have to have the confidence to get them out,” Thompson said confidently. He has a new sense about him and will be a different pitcher this year. Finding motivation in the game of baseball is difficult. It is a grind to play a whole season and stay intense. We spoke a little bit about what keeps Thompson motivated and ready to compete each day. “I would have to say it is first and foremost my family. The time and effort that they have put in to get me where I am. It is only fair for me to repay them with hard work and effort. I know my dad had aspirations to play football and he was injured in high school. He wasn’t able to pursue that dream like he wanted to. I feel like I kind of have to carry on his legacy. I have the opportunity to do that, and I would love to. He takes a lot of pride in what I do,” Thompson said. The love and desire to make his family proud calls out to him. It is nice that he feels that way, but I am sure his family is already very proud of the young man. He has already accomplished much in the game. Easier said than done. I hope he has unlocked something special. Sky is the limit for Mason. Wish him luck. 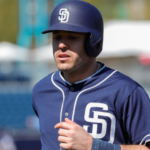 I’ll be in Lake Elsinore to cheer him on this season.